If you would like to use your eReader, we recommend purchasing the book directly from Amazon or Barnes and Noble. Your book will then be delivered directly to your device. Alternatively, search for Dreamspeak or Barbara Parker from your Nook or Kindle device. When you purchase this eBook from Aslan's Place, it is provided as an Adobe Acrobat file. This method is best when you want to read the book from your computer. 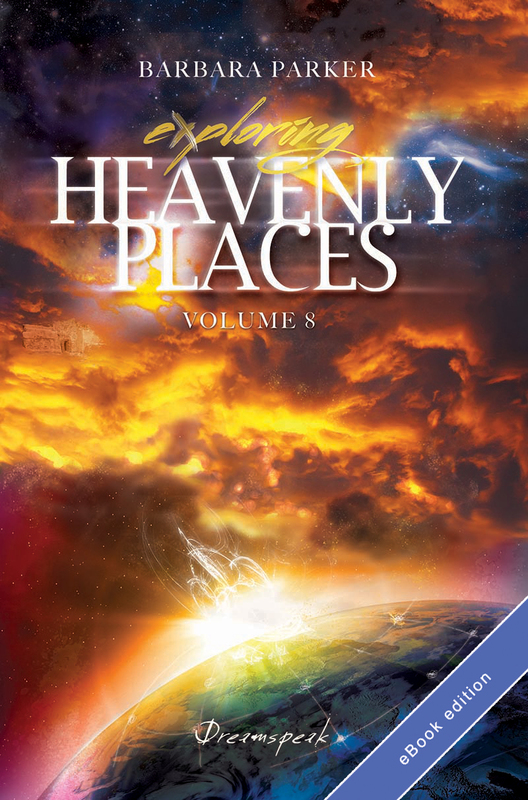 Why would a book about Dreamspeak be included in a series about heavenly places? The answer is simple, yet complex. Dreams and visions occur outside of the four dimensions to which we are accustomed, and in them we get a taste of what it is like not to be bound by time and space; in them we have experiences that are seemingly impossible from an earthly perspective; in them we are allowed opportunities to see into the invisible spiritual realms. In a dream world, nothing is impossible and we may find ourselves traveling though time, walking on water, breathing under water, flying though the air in a car, or floating thorough walls. Images may morph from one thing into another; or we may experience or view several scenes at once, multitasking in ways that far exceed our physical capabilities. Familiar laws of physics do not apply as gravity disappears, animals speak, inanimate objects dissolve, and we pass through star gates. This book is about the author’s personal journey into dream interpretation. It’s much more of a this-is-how-God-does-it-with-me account than a one-size-fits-all instruction manual, which hopefully will encourage others to venture out into the heavenly realms of dream exploration.